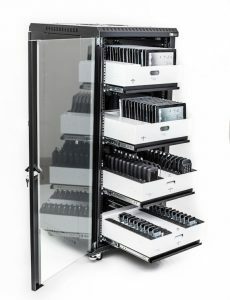 If you are deploying or managing multiples of smaller mobile devices — such as iPhones™, iPods™, iPod Touches™ or smart phones — Datamation Systems has created a number of storage strategies that incorporate state-of-the art charging and syncing hubs. 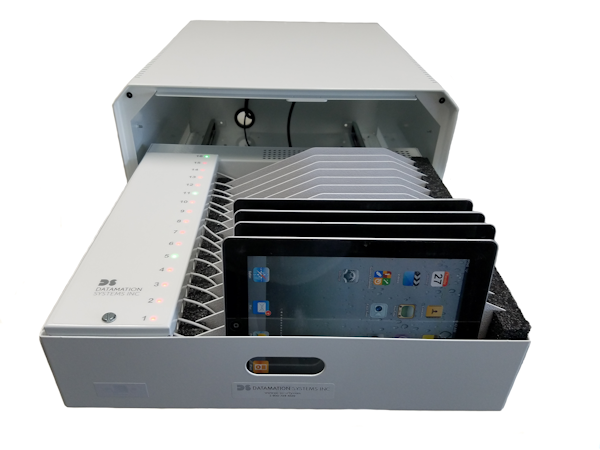 Datamation Systems Mobile Device Managers offers USB hubs supporting iOS, Android and Windows. 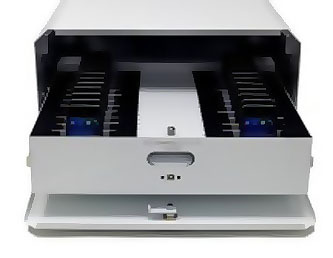 Our innovative UniDock™ hub is completely platform agnostic, supporting just about any USB device with Lightning, micro-USB and USB-C cable connections and can be converted in the future so you don’t have to throw out your investment when your equipment changes. 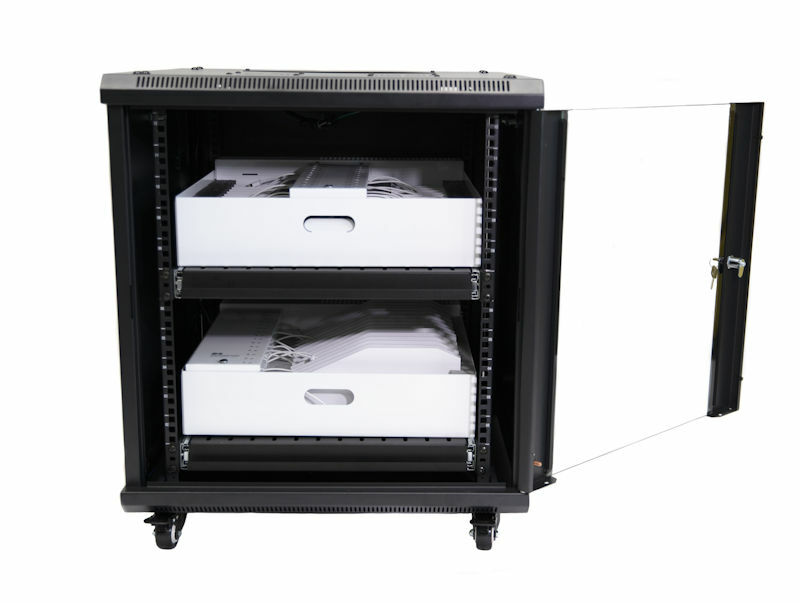 Our solutions are installed in hundreds of healthcare, retail and commercial locations. 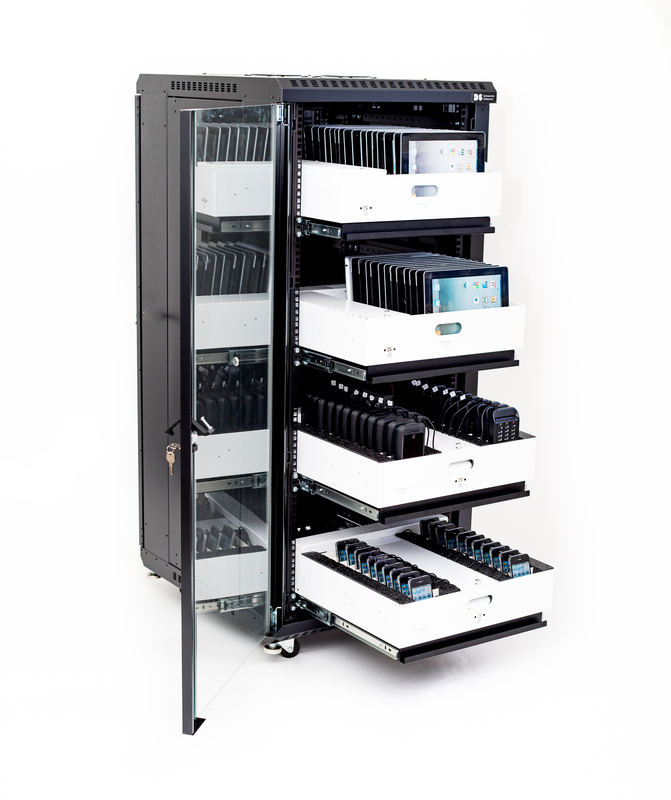 All our products work with many management software applications such as Apple Configurator and are compatible with GroundControl. 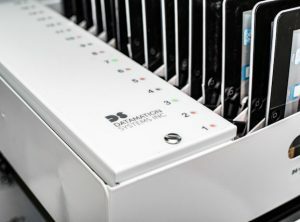 Datamation Systems is proud to introduce UniDock, the most innovative, future-proof smart dock for iOS, Android or Windows mobile devices configured the way you use them. 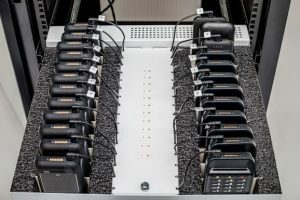 Mission Critical Communications: Maintaining critical smart phones is no easy task. 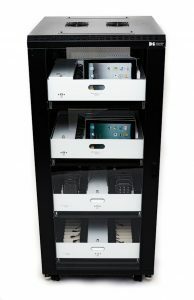 UniDock is perfect for iPhones and other mobile devices wherever they are used: in clinical communications, point of sale, field work and more. 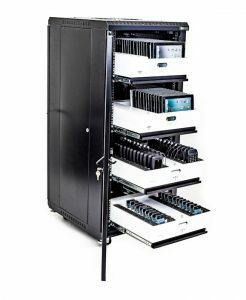 UniDock can be fully integrated with management tools such as GroundControl’s ground-breaking mobility orchestration platform and can work with other software as well. 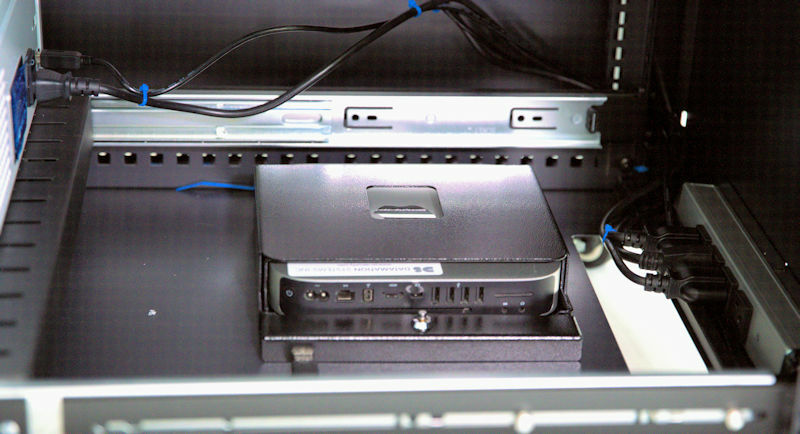 It can work with Lightning, USB-micro and USB-C devices, the first future-proof, flexible dock ever. 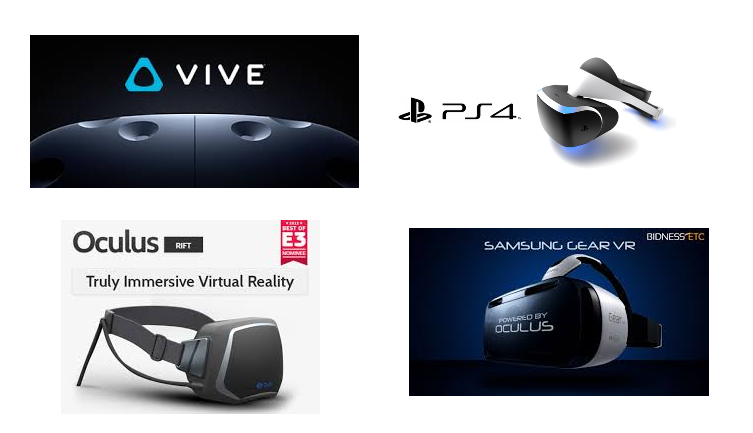 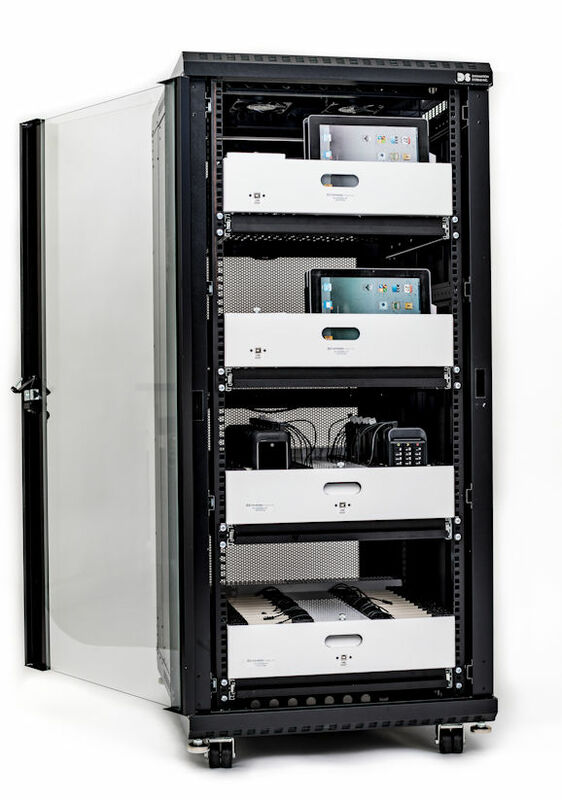 How do you handle these devices in a compact, secure and convenient space? 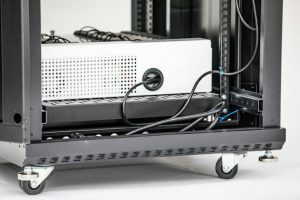 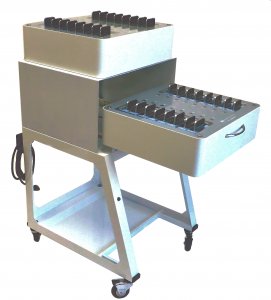 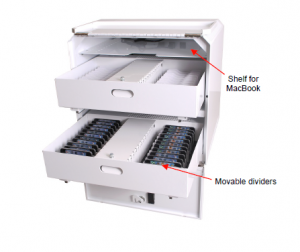 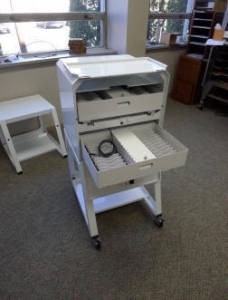 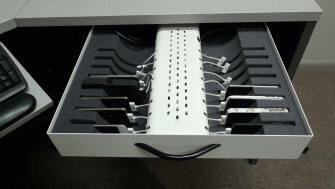 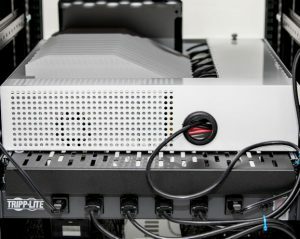 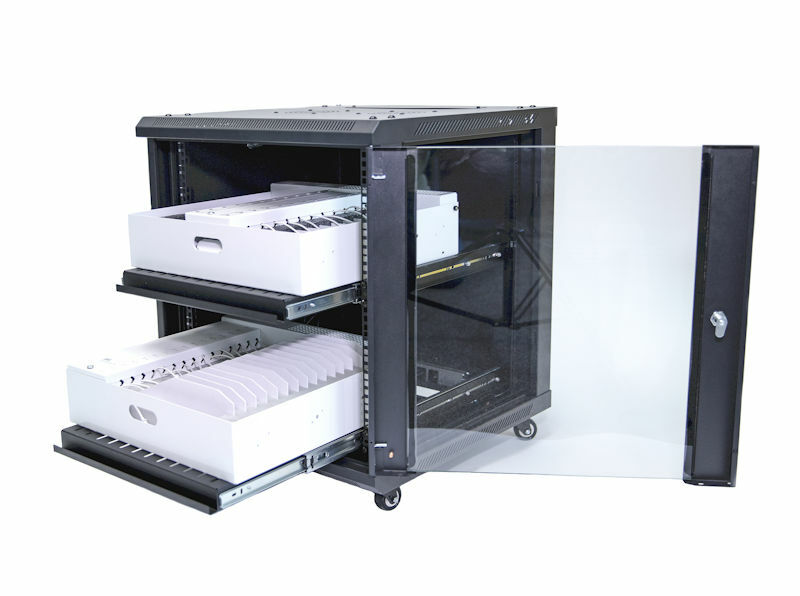 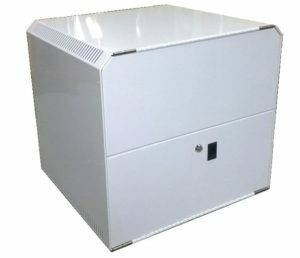 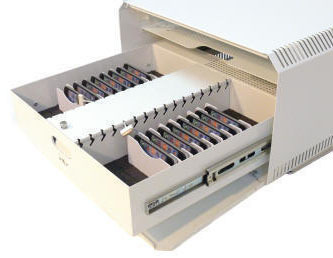 These are trays and drawers equipped with foam interiors (some with adjustable dividers) that can be used to house and protect just about any type of mobile device, even in cases or equipped with scanners, card readers or extended batteries. 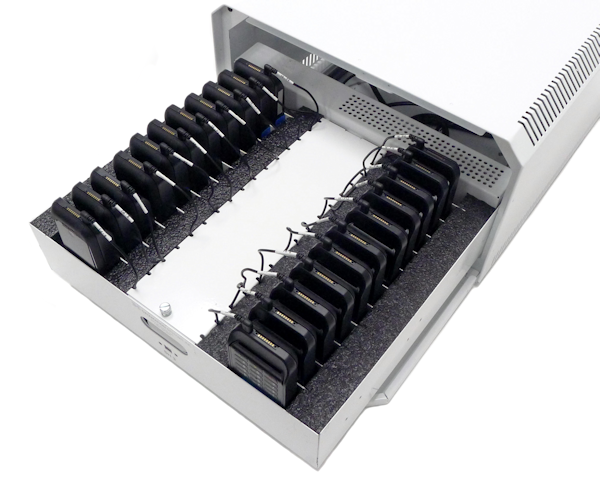 They provide easy access to charging hubs or sync-charge hubs and their power supplies. 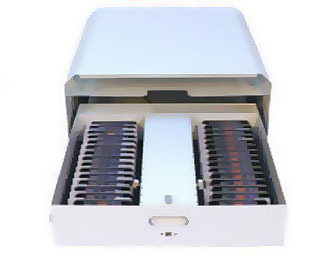 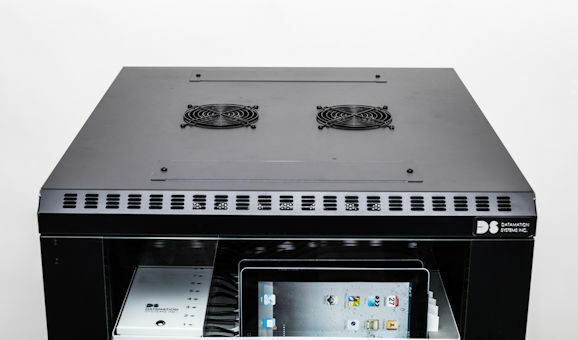 Some versions even provide security, locking the contents in a table-mounted enclosure. 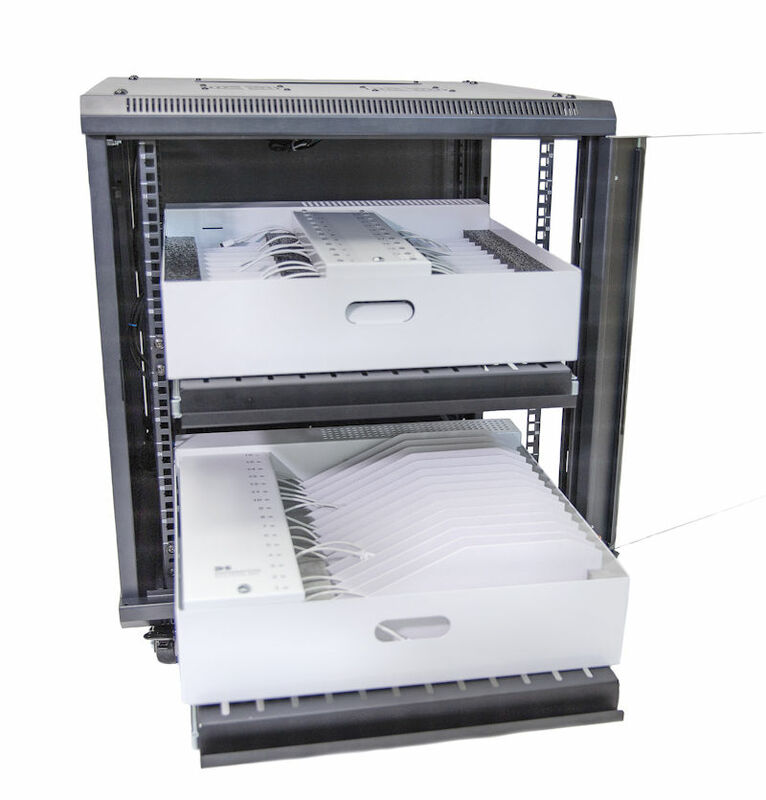 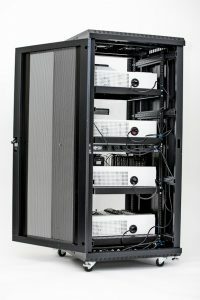 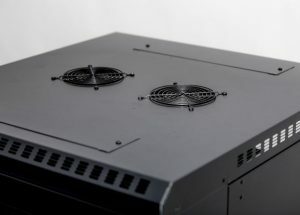 See more examples of our high density Rack Mount solutions. 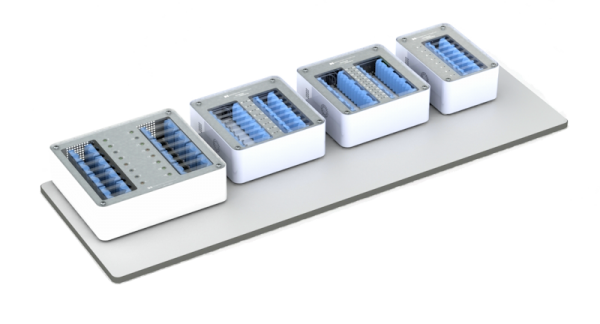 Like our other charge and sync options, these provide up to 2.1A per port (500mA in some configurations). 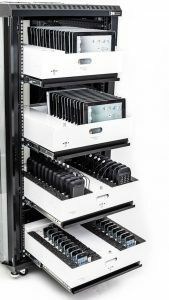 Some incorporate universal USB hubs with field updatable firmware, making these future-proof in an ever-changing technology environment. 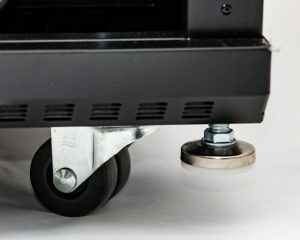 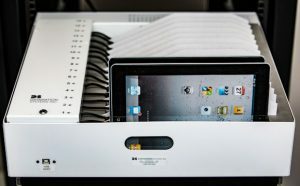 They have been designed for professional use and the highest performance standards and are perfect for BYOD situations. 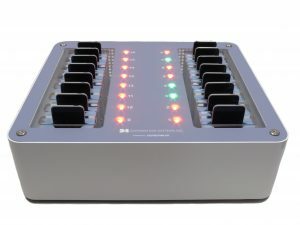 Like our other charge and sync options, these provide up to 2.1A per port (500 mA in some configurations) and are powered by the best-in-class USB technology of Cambrionix. 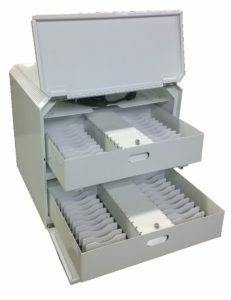 These trays are stations to charge multiple iPhones and iPods in hospitals and other medical institutions. 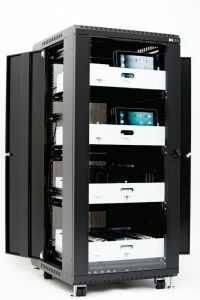 iPhone, iPod Touch and iPod are trademarks of Apple Inc.
We are pleased you have considered our products and solutions. 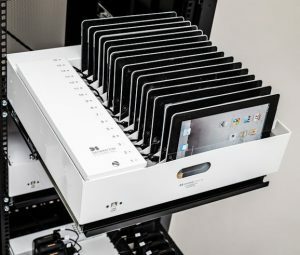 Datamation Systems is your one-stop provider for stations to charge multiple iPhones, iPads and just about any mobile device using USB. 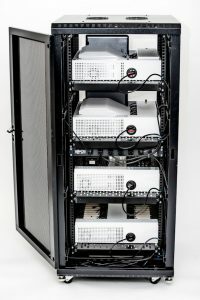 We also offer more sync and charge solutions than anyone else in the industry.